Almost two decades after the original Oscar-winning historical drama hit theaters, Gladiator is coming back to the big screen as Ridley Scott is moving forward with a sequel with Peter Craig (Top Gun: Maverick) attached to write, according to Deadline. 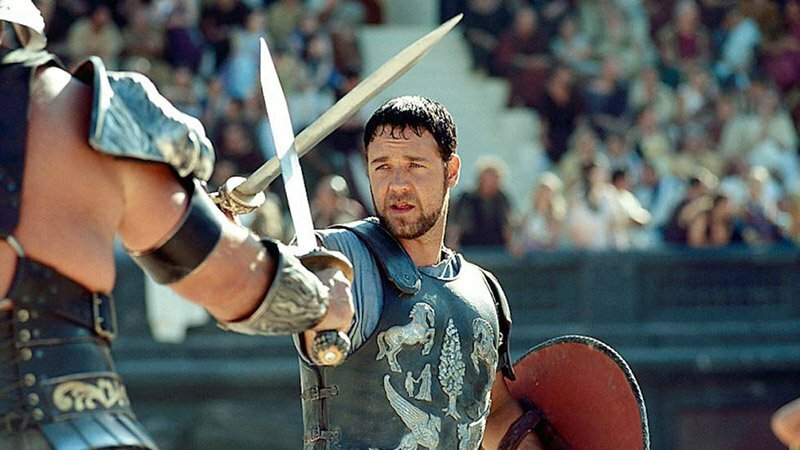 The original film, which hit theaters in 2000 and won five Oscars out of its 11 nominations and grossed over $457 million worldwide, followed Roman general Maximus Decimus Meridius (Russell Crowe, The Nice Guys) who is betrayed by Commodus, the son of Emperor Marcus Aurelius, and framed for Aurelius’ murder by Commodus. Maximus is sent into a life of slavery and fights in the gladiator arena to avenge his slaughtered family and Aurelius. The first film ended with Maximus successfully killing Commodus, though also being mortally wounded during their fight and dying, joining his family in the afterlife and saving Commodus’ sister and son from her demented brother. The sequel will follow the son, Lucius, following Maximus’ impression and exposure of Commodus’ corruption. Gladiator was originally produced and distributed by DreamWorks Pictures in the United States and Universal Pictures internationally, but DreamWorks will no longer be involved for the sequel and Paramount Pictures will be producing and distributing the sequel with Universal having the option to co-finance the film. Scott is well-known for his work on the Alien franchise, including the most recent installment Alien: Covenant, and most recently directed the 2017 crime thriller All the Money in the World based on the J. Paul Getty kidnapping. The 80-year-old director is currently working on the TNT sci-fi series Raised by Wolves, on which he will make his television directorial debut that will shoot in South Africa.